have become the overseers and ministers of the widows home. The elderly are being cared for and many are coming to Christ! 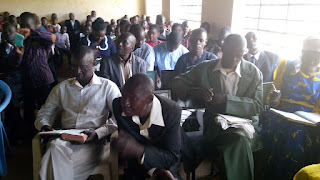 They are doing a great work for the Lord. Look at those smiles. Truly blessed! 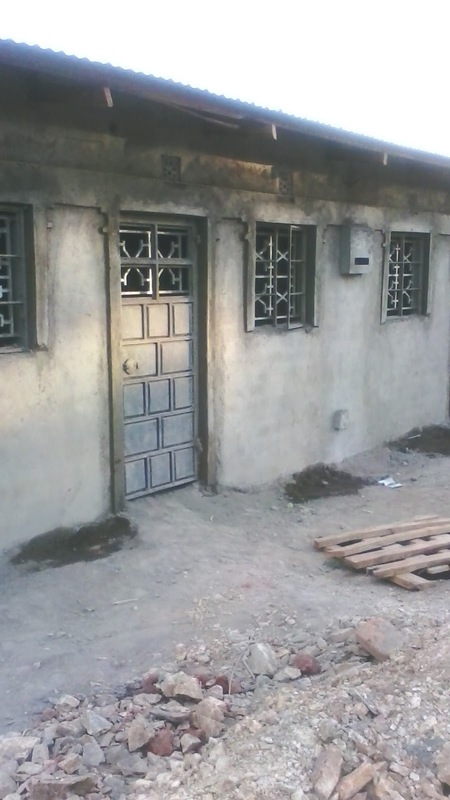 A home for the elderly located in Osinga Village (5 miles from Migori). We have recently sealed the building with concrete to keep out mosquitoes and leeches. The insects were biting the elderly and bringing with them many illnesses. Praise the Lord for this very important improvement! 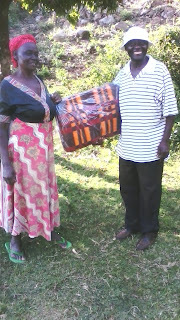 Hope Community Christian Church in New Philadelphia, Ohio U.S.A.
Pastors Scott & Staci Snyder, supplied enough funds to give blankets to the elderly. The days there are warm, but it gets very damp and cool at night. What a comfort for them. Pictured left to right: Julia, 71 yrs. old. Her husband was killed during bad elections. Her two sons also passed away. 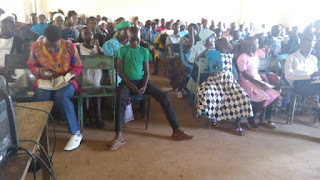 next to her is Grace, then Marry Junior, Boniface, Paul, (the county social worker), Boniface's mother, Hellen, Josephina, Hellen's neighbor, Peres 65 yrs. old. She has 9 deceased children, and no family or land for a home. Standing far right is Prisca 68 yrs. old. Seated left is Luinda, then Rachael , then Mary Sinor, and last one seated to the far right has not name and can't remember her name. They have nicknamed her "achieng" which means morning sun. Upon presentation of the new blankets, Boniface found he had one extra. They presented it to Josephina, who was so overwhelmed, she brought her old one to church on the following Sunday. Her old blanket was over 10 yrs old, tattered and worn. Excited about receiving her new one, she held up the old one and testified, "this is how missionaries used to be, they really cared about you." Since then she has been inviting neighbors and relatives to church, and has inspired many to attend services! 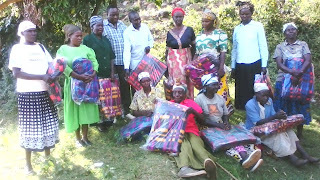 Boniface has visited some relatives of Josephina's who live across the small river from Osinga. He met 80 year old John who is blind, and 91 year old Joash. They were among the first converts to Christ over 40 years ago, when Pentecostal preachers came from New York. Boniface brought them medicine and treated their sickness and sores. They also asked for blankets . If you would like to help with their request, go to the donate page and put a note in the donate comment box for this need. 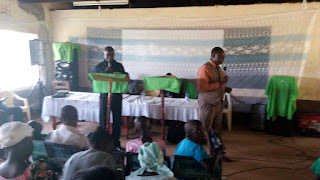 Boniface and other guest ministers, held a town conference pictured above. Preaching and teaching the Word of God. 120 confessed Christ after the week long meetings. Glory to the Lord for His mercy!